Bouncy, bright-eyed Kayne was a typically playful and curious toddler - until he started displaying worrying symptoms. Mum Dani took him to the local hospital time and time again, only to be told it was 'just reflux' - until one day, she refused to leave without an answer. Shortly before he turned two, a normally happy and playful Kayne suddenly became unsteady on his feet. He would sit up and vomit in the morning and screamed in pain at night. "I knew something wasn't right - but I never thought it could be cancer." A CT scan at the local hospital revealed a mass in Kayne's cerebellum and he was put straight into intensive care. Dani had to wait six agonising weeks for the pathology results. "Those six weeks were a living nightmare. Kayne had to learn to walk all over again." Kayne was diagnosed with an Atypical Teratoid Rhabdoid Tumour (AT/RT) - a very rare type of brain cancer. 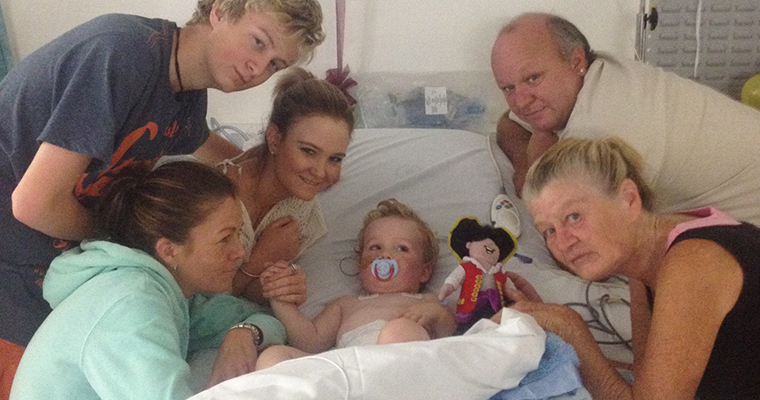 He was rushed to Sydney Children's Hospital, Randwick for emergency surgery. Dani was told that if Kayne's tumour had been left untreated, he would have only had two weeks to live. Chemotherapy was very rough on Kayne's little body. He got ulcers in his mouth and bowel and the nerves in his feet were affected - meaning he stopped walking for the second time. 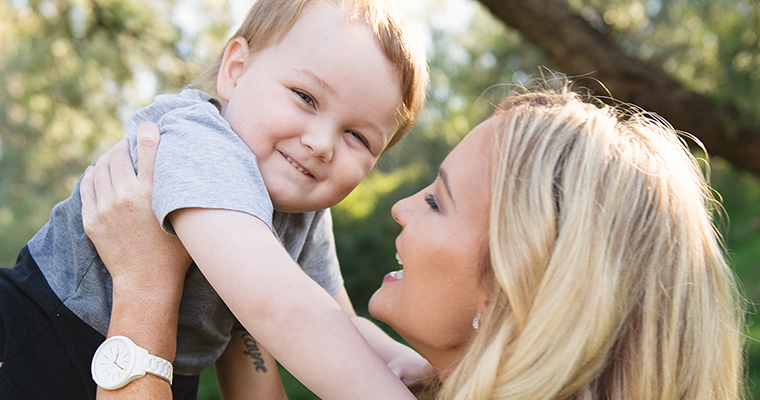 "Personalised medicine offers a more structured approach to treatment for kids like Kayne with high-risk brain cancers and other high-risk malignancies." 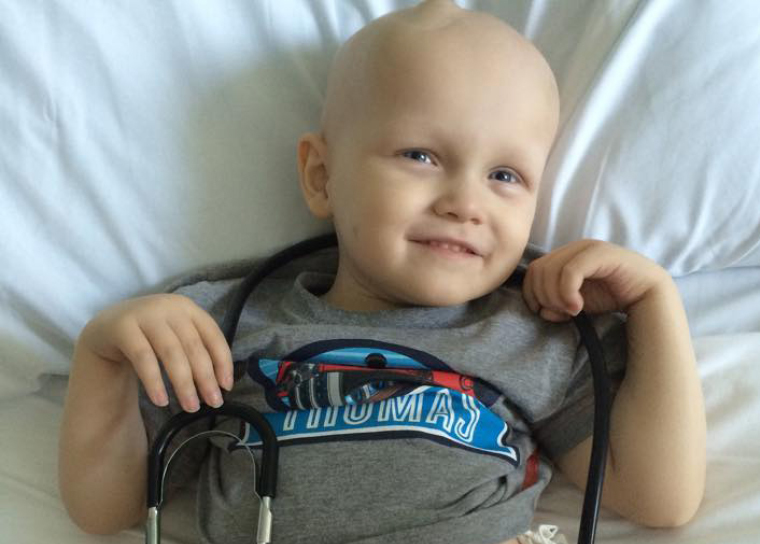 Kayne has been in remission since the end of 2014 and today has a big smile on his face. His future remains uncertain, however, as there is no chemotherapy option if he relapses. We are currently undertaking a research program to establish tailored therapeutics for children like Kayne with high-risk brain tumours.